I'm currently looking at a new font for a logo and I'm having some issues with the kerning of our lettering. I've search the web for guidance on kerning, in particular when using double lowercase lettering but not been able to find much on this. I've gone for the same spacing in between each letter to begin with but it looks wrong particularly towards the end of the word. Any advise on this or resources for good practices would be really helpful. 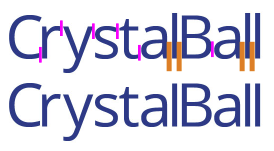 I would use half the width of the vertical for kerning between most areas (magenta rectangles) then the full width of the vertical on either side of the ls (orange rectangles). If you want a more open and airy feeling, you might consider using the full width of the vertical for most areas and then double the width around the ls. I would also shorten the height of the lowercase ls. The additional height of the ls is throwing off the balance considerably. Reducing the height of the ls to match the hight of the uppercase letters does a great deal to regain the sense of balance. By doubling the space on either side of the ls you add overall visual weight to those areas creating a better horizontal rhythm. Kerning is all about visual rhythm horizontally. The goal is to let the eye flow fluidly between characters without any visual "hiccups" along the way. For thinner characters it's often a good idea to add a bit more kerning to create the perception of more area to the character. There is no absolute equation which works for every word or character combination. This allows you to get a better sense of how solid or loose things feel. 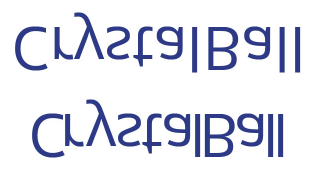 In the top, original, image you can see how open the right side feels compared to the left prior to kerning. And this is in spite of the c-r-y combination which naturally creates more visual space between characters. After kerning, I'd probably alter the r and y combination further (It would take some experimentation to flesh this idea out). Perhaps shortening one of the arms on the y to tuck it slightly under the r and reduce the visual space on the left side a bit more. In reality, for a logo I'd do much more. Just my personal opinion, but a logotype should involve much more than choosing a typeface and then applying kerning. My belief is that you simply can not measure with kearning- you just have to really LOOK. Step back five feet. Most of the time, your objective is probably to achieve a sense of balance. You can also use the kearning expressively, but this is not for the weak squeemish newbies or anyone who abhors having to explain themselves. I intentially exaggeratted the space between the words to aid in phonetic transparency. The space beween the "R" and the "Y" is tight, and even then - you could argue for more space between the "Y" and the "S"
There are "ST" kearning pairs that would make the argument for trying that, but I dont think it adds anything, and steals some of the strength of the ascender on the T - Looks more literarry than a good brand. I would say that Scott's example above looks like a minor traffic accident happened when the Cap B hit the brakes, and the "Y" is a little lonesome. But then it's all subjective - part of the beauty of this business - there really is no absolute right answer. Not the answer you're looking for? Browse other questions tagged typography logo kerning or ask your own question. Is the kerning on my logo correct?